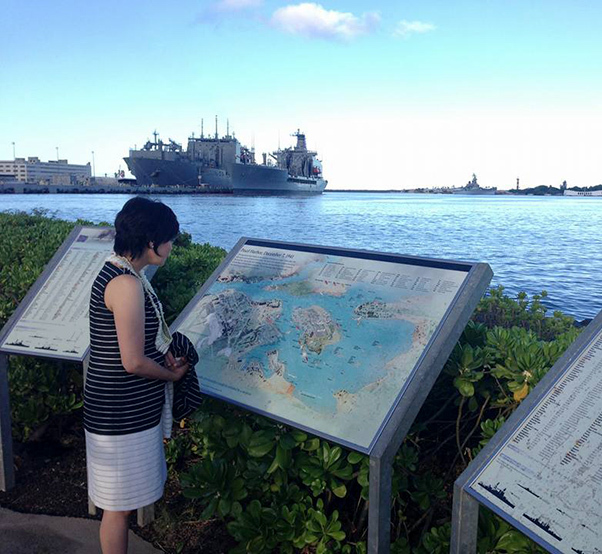 Japan’s first lady has visited Pearl Harbor in Hawaii for the first time to pay tribute to the victims of the Japanese attack 75 years ago. 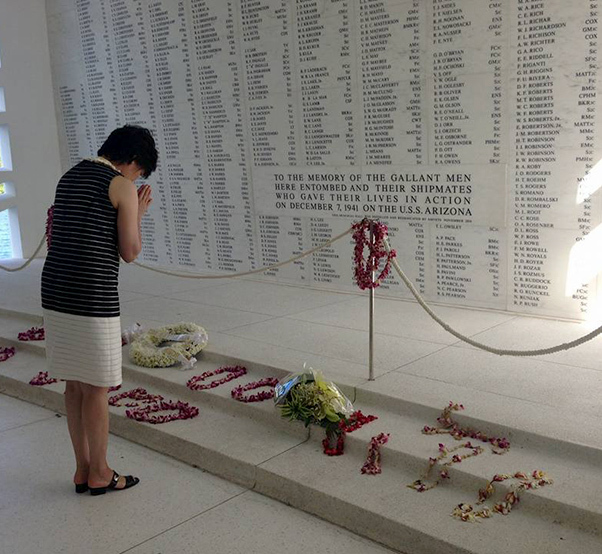 Akie Abe said in a Facebook entry Aug. 22 that she laid flowers and prayed at the USS Arizona Memorial. “I offered flowers and a prayer,” she wrote in the short message. In one of several photos also posted on Facebook, Abe posed with an American veteran who survived the attack. She did not elaborate on her visit, which came amid speculation about a similar visit by her husband, Prime Minister Shinzo Abe. Chief Cabinet Secretary Yoshihide Suga said the first lady was in Hawaii to attend an environmental conference. Suga declined to comment further, saying she is making a private visit. 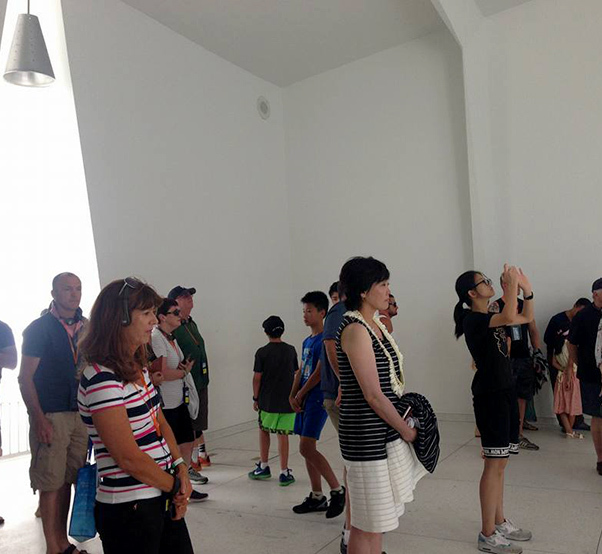 Speculation about a possible visit by Prime Minister Abe to Pearl Harbor has grown since U.S. President Barack Obama paid tribute in May to the victims of the U.S. atomic bombing in Hiroshima. 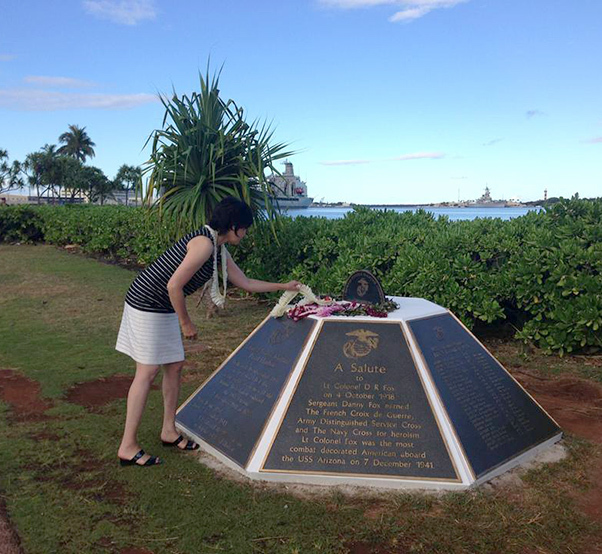 No serving Japanese prime minister has visited Pearl Harbor.